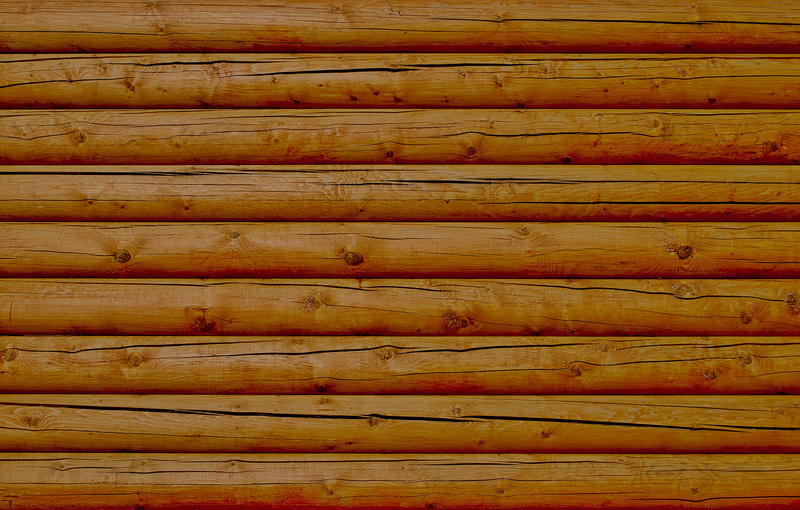 We carry approximately 750,000 board feet of industrial hardwoods and southern yellow pine in inventory. We have the machinery capable of milling to any dimension or cutting to any size. We have the capacity to construct any configuration of pallet or skid, from the most popular 48 x 40 to your custom design. Through the use of Pallet Design System (PDS) software we have the expertise to engineer a pallet to meet your unique application. 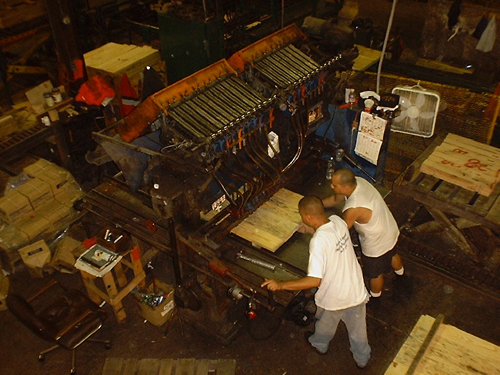 We utilize the most efficient machinery available to cut and produce our products. 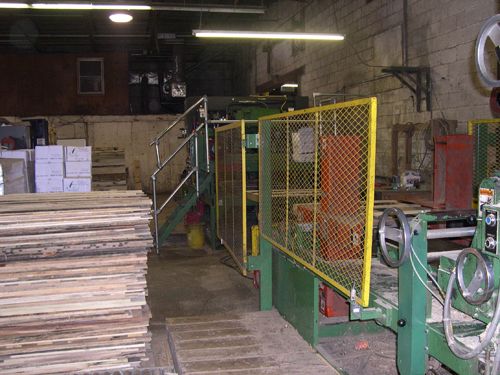 Currently our capacity to produce pallets and skids is between 13,000 and 15,000 a week. 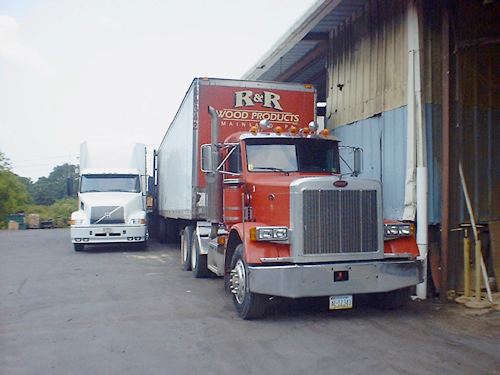 R&R Wood Products maintains and operates our own fleet of trucks to make deliveries. This provides us with the flexibility needed to deliver our customer’s orders on time without depending on outside contractors. We operate both box vans and flat bed trailers to meet your specific receiving. requirements. We also run a 24′ straight truck to handle small orders more economically. 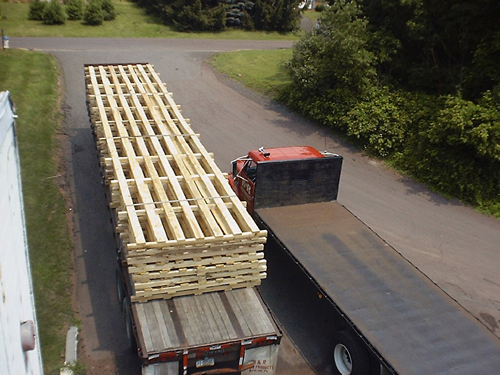 Our heat treatment facility has the ability to treat almost two tractor trailer loads of pallets per charge. As a licensed facility we stamp each and every pallet that is heat treated with the IPPC logo stamp identify that pallet as complying with the ISPM-15 specification for international shipments. 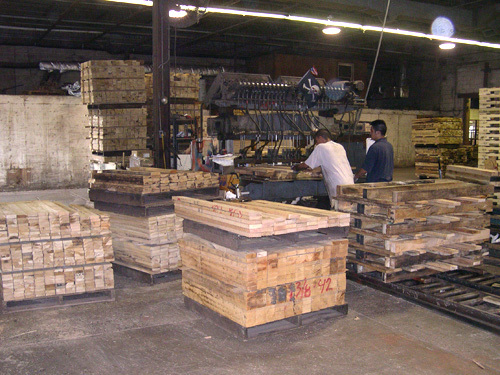 R&R Wood Products has the competence and capacity to solve your material handling applications. We pride ourselves as being very knowledgeable in many diverse industries. We currently make skids for the steel and paper industries as well as supplying custom designed pallets to all facets of industry. Having an extensive customer base allows us to use a concept from one industry find a solution for your situation. We look forward to helping your company solve any problems you may be experiencing.